While PlayerUnknown's Battlegrounds still hasn't quite made the jump from beta to 1.0 (and is still considered an Early Access Game on Steam), it has raked in gaming awards and Guinness World Records alike ... and made a huge pile of money to boot. 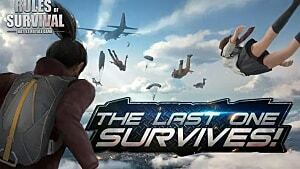 The last-man-standing Battle Royale concept has since galvanized the entire FPS genre and created a massive surge of copycats both on console and now mobile. 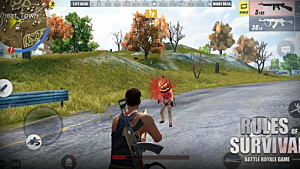 NetEase Games, one of the largest and most financially successful Chinese game producers on the planet, has managed to finagle a spot as the number one producer of Battle Royale-style mobile games ... mostly by virtue of flooding the marketplace with four different iterations of the game mode. 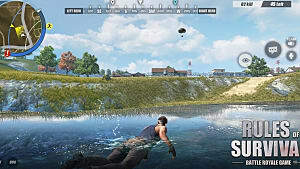 Of the three currently available to Western markets (Rules of Survival, Knives Out, and Survivor Royale), the one that has catapulted up the app store charts is Rules of Survival, despite being arguably the least polished of the lot. 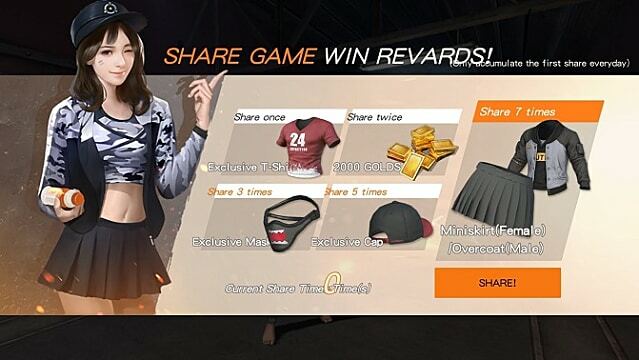 Knives Out has received considerable commendation from players, particularly due to its super-customizable HUD, and there are a number of people that prefer this game to Rules of Survival for that reason alone. The only one that hasn't seemed to make quite a dent in the market is Survivor Royale, although it too has admittedly received a little more development work in its initial release. As of right now, however, the free market makes the rules, and the vast majority of the mobile market has thrown itself indelibly in the corner of Rules of Survival -- so much so that NetEase has understandably thrown most of its current attention into updating and bettering this game more than the others. 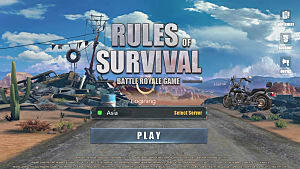 Does that make Rules of Survival the clear winner? Ehhhhhh, that's a hard one. 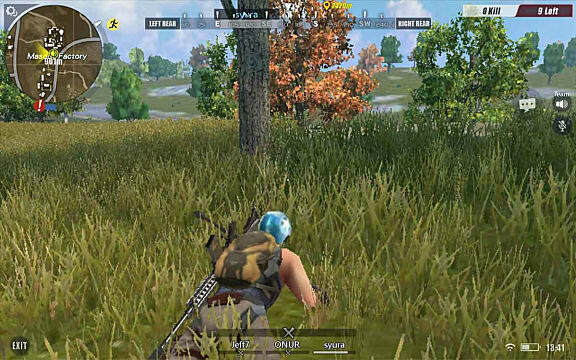 If you looked at it all on its own, then sure, it's a perfectly serviceable mobile copycat for PUBG, and it's getting better all the time. 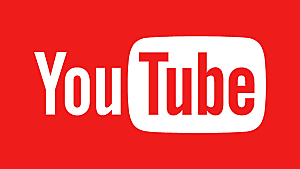 The community is thriving, there are a bunch of different servers to choose from, there are a huge number of players on at almost any given time, and the wait for a game is minimal. Plus, there's no pay to win. 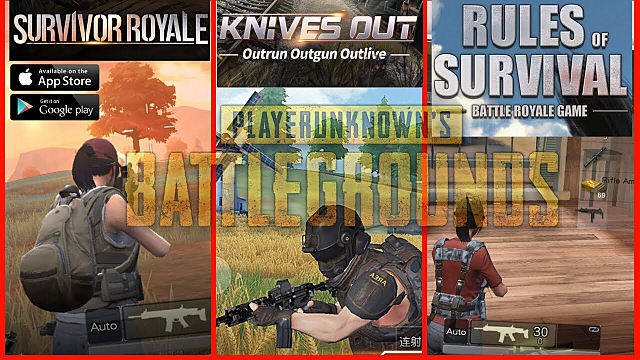 In spite of how well the pay to win model has worked out for the mobile gaming market in general, the Battle Royale genre is predicated on the idea that all players in a match start out dead even. This means that paying for items that up players' chances at better survivability and/or fighting power just won't fly very well ... and that players are being offered a chance to play premium game content (that is, something akin to the PUBG experience) for no cost at all. 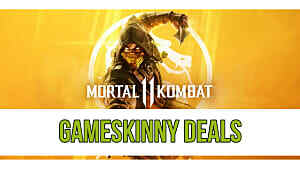 While both games have implemented in-game currency, this can currently only be exchanged for cosmetic items (gratifying in an age where pay to win has been king in the mobile gaming market). 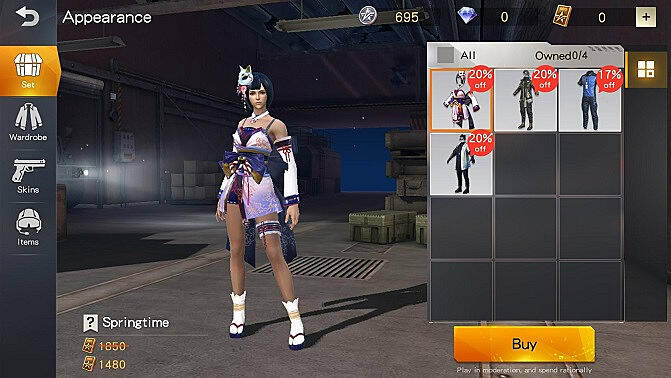 This may change in time, but right now, NetEase appears to be interested in building a player base first and making money off it later. Of course, you can make the argument that running around in a bright, colorful outfit like the one above would make you more visible to other players on the map while you're sneaking about, giving them more of an edge ... but who knows, maybe it's good to go down pretty? You're certainly not obligated to buy new clothes if you don't want to. So how do the games compare? 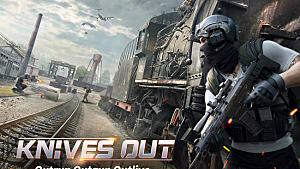 Trying to play Knives Out can be a little tricky, at least from the get-go. Large parts of it haven't been translated: the title screen, accept/cancel buttons on name selection, cutscene subtitles (no audio), loading screens ... as a strictly English-speaking player, this can be rather off-putting, especially if you've got a completely serviceable alternative available on the market at the same price (free). This is unfortunate because Knives Out really is quite a lot of fun to play. And it is definitely a lot more customizable than Rules of Survival. 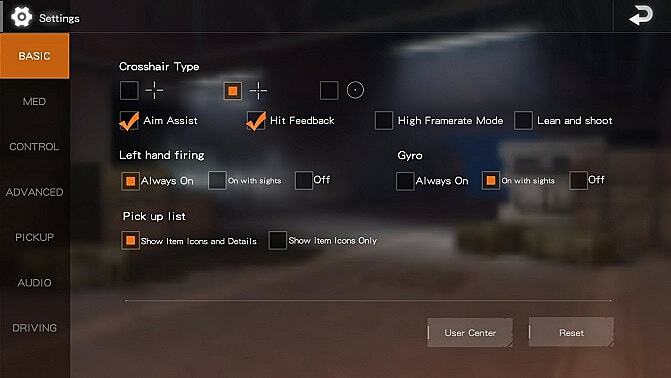 Knives Out is probably more to your taste, with a customizable HUD and buttons that you can move around to suit your personal play style. When you only have two thumbs with which to run, strafe, turn, aim, and fire, it can get a little counter-intuitive which thumb should be doing what at certain moments. Both games have added an extra fire button on the left side as well as the right (a lot easier to use when sniping, in my experience), but it's offered in Rules of Survival on only one control setting, whereas Knives Out can give it to you on all of them. And when it comes to "all of them," holy heck does Knives Out throw options at you! 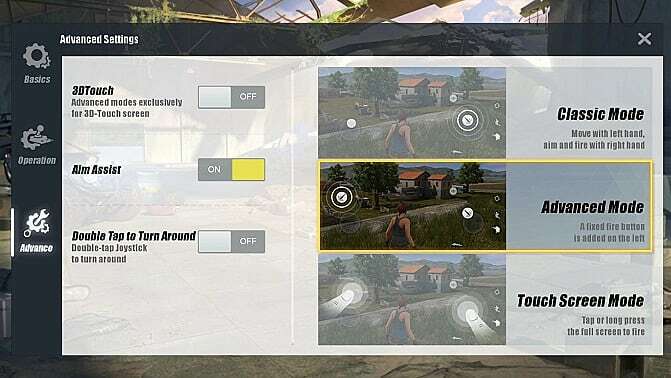 Crosshairs, zoom settings on scoping, priority for bandage use, driving controls ... where Rules of Survival (below) gives you three tabs of settings, Knives Out (above) throws seven at you to tinker with as you like. As a rule, I'm not usually one to mess around too deeply with controls, but with games like these, I found it's been pretty important to go in and mess around with them some before I really started to play. 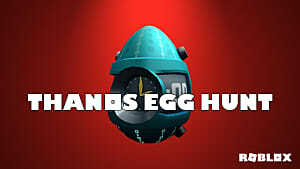 So if you normally are one of those people who likes getting everything just right already, this game is here to help you do that. On the surface, there's not a huge difference between the two in terms of playability and performance. I've noticed a bit more downtime on Rules of Survival for maintenance than I have for Knives Out, but that could honestly be just an accident of timing (I keep really weird hours). 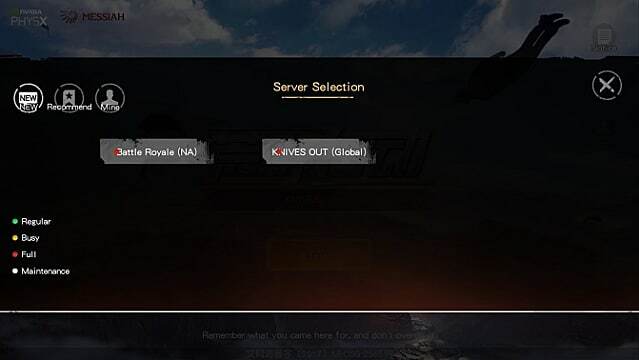 Rules of Survival has three servers globally (North America, Asia, and Europe), whereas Knives Out only has two (as seen above), but that may be all that's needed -- unless they're under maintenance, I have always seen Rules of Survival's servers running "smooth" and "fast." As seen above, I've always seen both servers looking full on Knives Out. Like I mentioned before though, these indicators haven't really seemed to do much in the way of my logging in, finding space on the server, finding a game, or playing. And lastly, how does the game look? There are some pretty cool moments! For example, right from the get-go, you jump out of your plane in a wing suit. It gets a little shaky on the dismount, mostly because it just disappears as you land and you end up in your regular outfit, but the starfish fly-down is pretty cool. It makes for a slower drop, because you don't really have the option of diving down faster like you do in Rules of Survival, but that also helps you figure out a better landing spot that you want to parachute into. 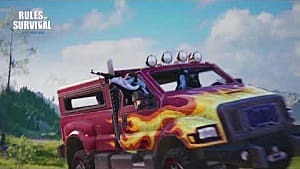 Regular in-game graphics feel comparable -- Rules of Survival miiiight be a little more detailed and colorful in outdoor elements (trees and grass), but they're quite equivalent in indoor settings. Knives Out definitely feels like the better game ... for now. 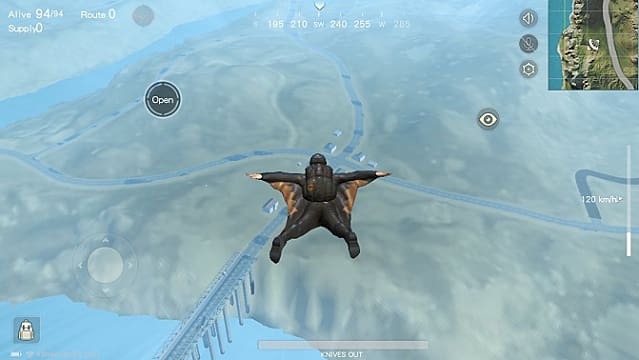 But with its increased popularity, NetEase has definitely been pushing out a great deal more for Rules of Survival. They rolled out a fairly big update about two weeks ago that added stuff like new weather systems and adjusted movement speed mechanics after shooting. Who knows how the game will look and play even a few weeks or a few months from now?